Couldn't even get through the first episode....ugh. I don't leave many one-stars, but this was so terrible, I couldn't even get through the first episode. The animation was so bad, I wondered if I was watching an early anime from Tencent (Chinese). Turns out it's Studio Deen. The characters are pretty, but the movements are horrible (as in, they barely move/react). Everyone has big smiles, or big frowns. No subtlety here at all. The backgrounds are dull and the characters look pasted onto them. The plot so far is mostly "Well, you know, Joe...." explanations to move the story along instead of action and dialogue. Characters are transported to a different world and are barely concerned. One human character drop kicks mythical creatures who are super powerful (I'm assuming he is "special"), a non-human character's means of creating a gateway from her world to the human world (a very large mirror, stored under her shirt above her bra, apparently?!) just "happens" to break in a fight and... boom... everything just explodes and we're in the new universe. Meh, meh, meh. Deleted from my queue. Its just seems like the basis of the entire show its a lot of coincidences. There are at least like 40 of these coincidences but for example, character stuck outside a wall, all of a sudden the exact character who can break through the wall shows up. No explanation as to why the person came they just did. Unlike the other reviewers i did finish the anime but i was constantly hoping it would get better and it never did. 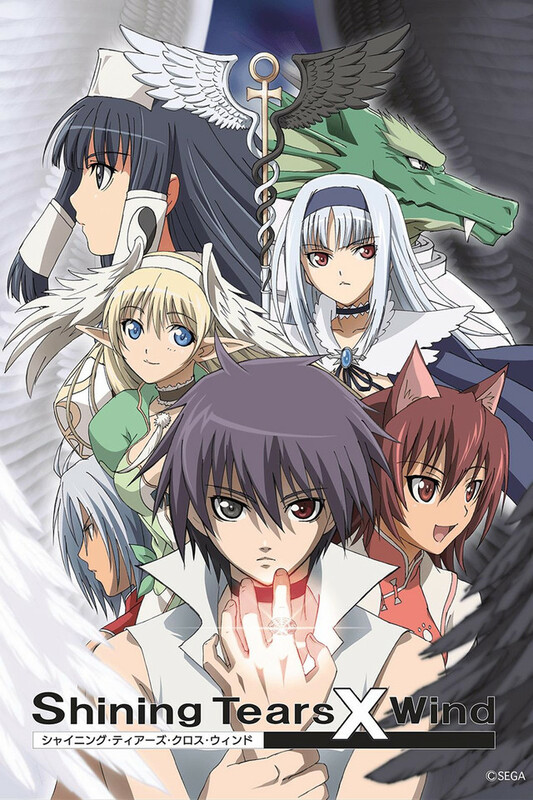 I'd been looking to watch this anime again for a while, having nostalgia of a great fantasy show. What I got was a cluster with a plot that changed directions about as much as the characters changed personalities. Plot: The plot was all over the place. First there was a war, then no war. Then there was the chaos monster, but that never went anywhere. Then the final boss was a monster that was only mentioned in the last two episodes, but the main characters made it seem like they knew about him the whole time. The overall time of the world was confusing as well. There was a war going on before people arrived, then another war right as they arrived, but the people in the original war didn't age at all. Character development: The characters changed personalities so many times it was hard to keep track of who you like and who you don't. One episode someone is noble, the next they are angsty, then noble again. Characters get halfhearted backgrounds (Zero/Xion) but no explanation beyond a few minutes of detail. Art: The art was good, but the positioning of the characters changed to fit the background. One moment they are in a tower, then they are on the ground, then they're on the tower on some outer layer. Soul blades: The soul blades were interesting, but confusing at times (characters somehow knew the names of the blades, even the ones who couldn't wield them). Overall: If you're looking for a show to watch that's engaging and draws you in, it's probably not this. There are too many loose ends, unexplained plot devices, changes in character, and just a sheer lack of detail that will make you crazy because so much is left open. This is a very good adventure-based anime with medieval settings, sword fights, beastmen, monsters, witches, mages, fairies, elfs, one dragon man (see the green guy? ), one cat girl, and three heroes, but it also had tanks, guns, cannons, trucks, and one flamethrower, too! It starts quite confusing, and the characters change a bit, so you don't know who will be the final hero until several episodes. I gave it four stars because I enjoyed it even to the end, but the startup was weak, and that first episode can turn off many watchers. But I do recommend watching more. This was a fun piece to watch after the drama and dark violence of some of the others. There's sorrow and life/death, love, and cheesy themes but definitely worth the time to watch all the way through to the end. Of course, being a fujoshi, I saw many gay undertones in this so it made it more fun that way. It wasn't overwhelming though so if you don't like to think in that direction, there's still lots of girl+guy romantic undertones. One more thing, there might (if you want to think of it there) be a sisXcon theme there too.